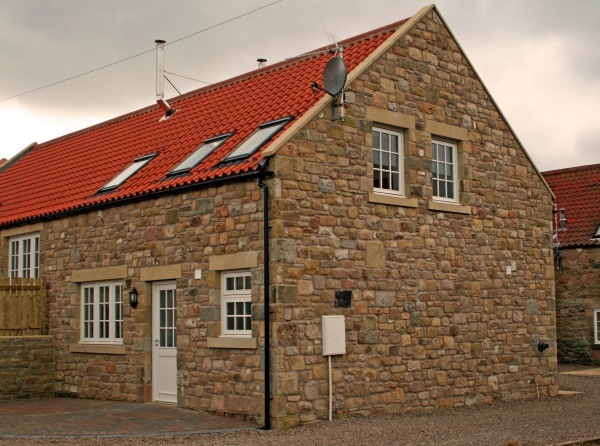 Situated in a stunning rural location between the A1 and the picturesque coastal village of Bamburgh, Apple Blossom is just a short drive from Bamburgh’s golden sandy beaches, the castle and to Alnwick, Wooler, Holy Island and the Cheviots. Split over 2 floors, this property has three bedrooms which are all on the second floor. There is an interconnecting doorway with Cherry Blossom, making it ideal for large parties and family gatherings. There is also a small staircase between the properties for privacy. All passage ways and doorways on the lower level have been widened for full wheelchair access so if guests took both properties together, wheelchair access to the lower floor of the property would available. Parking is to the front of the property and there is a small, flat mono-blocked area which could be used as a drop off point for any guests who are less stable on their feet. Patio doors at the rear of the property lead in to the court yard. 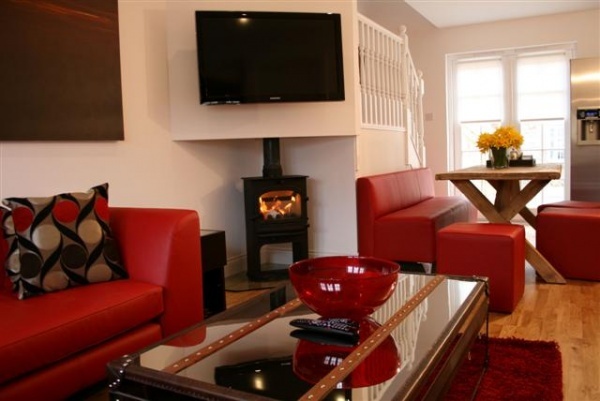 There is level access to the property, leading into a small hallway, downstairs bathroom and open plan living area. 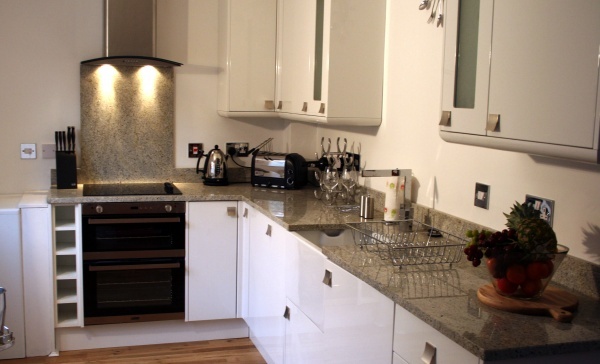 The open plan living space includes a fully fitted kitchen with dishwasher, microwave, fridge and marble worktops as well as a comfortable, leather seating area which is suitable for up to 6 guests. The dining area is spacious enough for wheelchair access and also boasts a large flat screen TV with DVD, and Sky package. The ground floor also has tiled bathroom with toilet, wash hand basin and bath-tub. Bedroom 1: This is a large double bedroom with a zip and link bed which can be either a super-king double or a twin singles. The room has two bedside tables with reading lights and a small hanging area. A tiled En-suite shower room with vanity area. Bedroom 2: A small twin room with bedside table and reading light. There is a small hanging space for clothing and small vanity area. Bedroom 3: Another small twin room with bedside table and reading light. Also with small hanging space and vanity area. 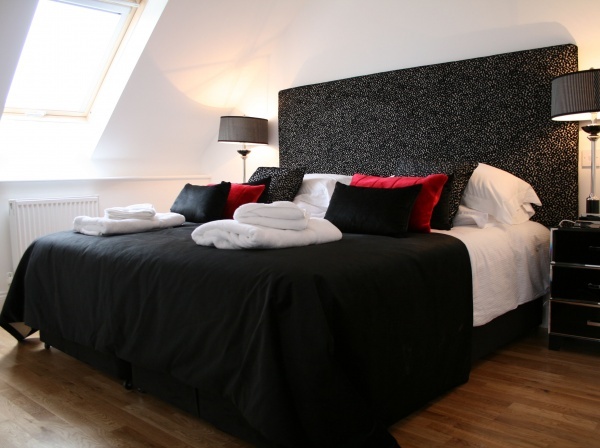 * Apple Blossom can be booked together with Cherry Blossom to accommodate up to 10 people.